In cases of severe, long-term Achilles tendonitis the sheath may become thick and fibrous. In these cases surgery may be recommended. Surgery aims to remove the fibrous tissue and repair any tears in the tendon. A cast or splint will be required after the operation and a recovery program including physiotherapy, specific exercises and a gradual return to activity will be planned. Repeated small injuries to the fascia (with or without inflammation) are thought to be the cause of plantar fasciitis. The injury is usually near to where the plantar fascia attaches to your heel bone. You are more likely to injure your plantar fascia in certain situations. For example, if you are on your feet for a lot of the time, or if you do lots of walking, running, standing, etc, when you are not used to it. (Plantar fasciitis may be confused with ‘Policeman’s heel’, but they are different. Policeman’s heel is plantar calcaneal bursitis – inflammation of the sack of fluid (bursa) under the heel bone. This is not as common as plantar fasciitis.) Also, people with a sedentary lifestyle are more prone to plantar fasciitis. If you have recently started exercising on a different surface, for example, running on the road instead of a track. If you have been wearing shoes with poor cushioning or poor arch support. If you are overweight this will put extra strain on your heel. If there is overuse or sudden stretching of your sole. For example, athletes who increase running intensity or distance; poor technique starting ‘off the blocks’, etc. If you have a tight Achilles tendon (the big tendon at the bottom of your calf muscles above your heel). This can affect your ability to flex your ankle and make you more likely to damage your plantar fascia. Often there is no apparent cause for plantar fasciitis, particularly in older people. A common wrong belief is that the pain is due to a bony growth or ‘spur’ coming from the heel bone (calcaneum). Many people have a bony spur of the heel bone but not everyone with this gets plantar fasciitis. Stretching the plantar fascia and the calf muscle area can help to prevent inflammation. Slowly increasing the amount or intensity of athletic activities by graded progression can also help to prevent injury. Recommended Stretches: Taking a lunge position with the injured foot behind and keeping your heels flat on the floor, lean into a wall and bend the knees. 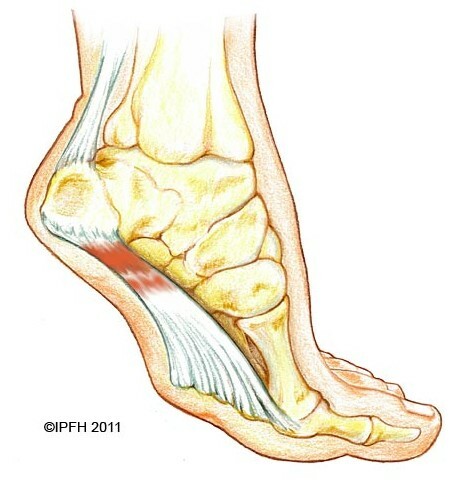 A stretch should be felt in the sole and in the Achilles tendon area. Hold the stretch for 20-30 seconds. Also try this stretch with the back leg straight. Treatment of plantar fasciitis begins with first-line strategies, which you can begin at home. Stretching exercises. Exercises that stretch out the calf muscles help ease pain and assist with recovery. Avoid going barefoot. When you walk without shoes, you put undue strain and stress on your plantar fascia. Ice. Putting an ice pack on your heel for 20 minutes several times a day helps reduce inflammation. 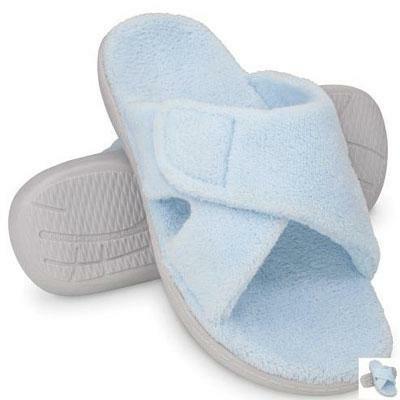 Place a thin towel between the ice and your heel,do not apply ice directly to the skin. Limit activities. Cut down on extended physical activities to give your heel a rest. Shoe modifications. Wearing supportive shoes that have good arch support and a slightly raised heel reduces stress on the plantar fascia. Medications. Oral nonsteroidal anti-inflammatory drugs (NSAIDs), such as ibuprofen, may be recommended to reduce pain and inflammation. If you still have pain after several weeks, see your foot and ankle surgeon, who may add one or more of these treatment approaches. Padding and strapping. Placing pads in the shoe softens the impact of walking. Strapping helps support the foot and reduce strain on the fascia. Orthotic devices. Custom orthotic devices that fit into your shoe help correct the underlying structural abnormalities causing the plantar fasciitis. Injection therapy. In some cases, corticosteroid injections are used to help reduce the inflammation and relieve pain. Removable walking cast. A removable walking cast may be used to keep your foot immobile for a few weeks to allow it to rest and heal. Night splint. Wearing a night splint allows you to maintain an extended stretch of the plantar fascia while sleeping. This may help reduce the morning pain experienced by some patients. Physical therapy. Exercises and other physical therapy measures may be used to help provide relief.